75 Years TDCJ for Jailhouse Brawl, LIVINGSTON, June 26, 2014 - On June 24, 2014, Beverly D. Armstrong, Assistant Criminal District Attorney for Polk County, Texas presented evidence against Joseph Bernard Cooper, on an indictment for one count of Aggravated Assault with a Deadly Weapon and one count of Misdemeanor Assault. A jury found Cooper guilty of both counts. 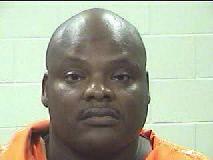 Count one alleged Cooper, while in the Polk County Jail, wrapped a shoelace around the neck of Curtis Drumgo, another inmate and attempted to choke him. Count two alleged Cooper punched Drumgo in the face. Drumgo’s injuries included a swollen eye, swollen face, busted lip and deep lacerations around his neck. Drumgo told the jury that Cooper was assisting him with legal work and the confrontation started due to a disagreement regarding how Cooper was to be paid. Drumgo stated he was walking back to his bunk in the tank when Cooper got out of his wheelchair, walked to the Drumgo’s bunk and started beating him. Drumgo told the jury Cooper put a shoelace around his neck and choked him such that he could not breathe. Cooper’s defense attorney told the jury Drumgo bit off more than he could chew. She argued Drumgo was the aggressor and instigated the fight from the start. However, after hearing from other witnesses, who were inmates with Drumgo and Cooper at the time of the assault, the jury rejected that argument. During the punishment phase of the trial, the State offered evidence of Cooper’s prior convictions including nine previous commitments to a TDCJ facility. Cooper asked Judge Kaycee Jones for leniency regarding his sentence but did not express any remorse for his actions. Judge Jones sentenced Cooper to 75 years in TDCJ on count one and 6 months county jail on count two. Due to the nature of the charges, Cooper will be required to serve at least half of his sentence before he will be eligible for parole. Mrs. Armstrong thanked the jury for their time and attention to this case.